Popular actor Charlie Sheen has always been known as a wild guy, and his recent insult is just another testament to that. During a US TV interview on Wednesday, he gave a rather craft “compliment” to his Anger Management colleague Selma Blair, calling her “Slima”. Her departure from the show last June was followed by rumors of a harsh conflict between Sheen and her during the second season. 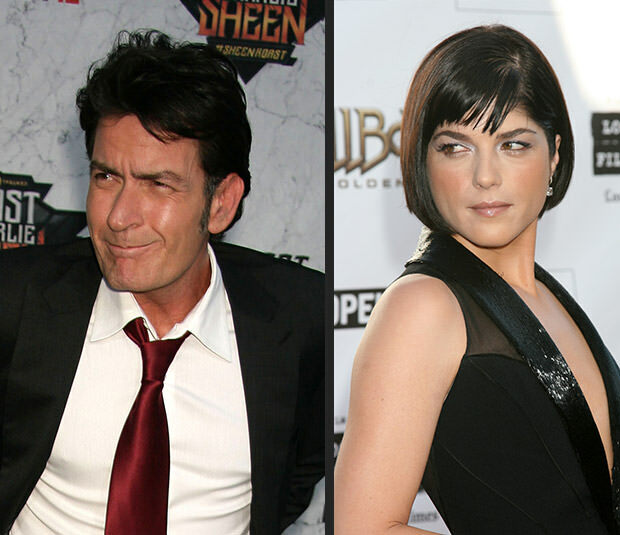 It was reported that Blair complained about Sheen’s behavior to the producers. How I Met Your Mother star Laura Bell Bundy took her place in August, but it seems Charlie still didn’t let go off his fight with the Cruel Intensions star. However, the replaced star also continues to grumble on behind the scenes. Blair threatened the Anger Management bosses with legal action demanding $1,2 million as a remedy for lost wages from episodes she was scheduled to appear before her discharge. It’s still unknown whether the payment issues have been resolved.